You have my phone number if you need to call, my dear. This made me cry. Raven is such a beautiful dog. My dog had osteosarcoma too and I know the desperation to find something, anything that would help her. You and Raven will be in my prayers. 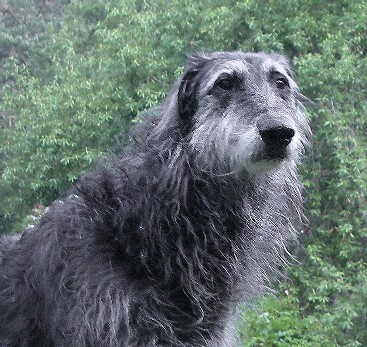 I reached your site seeking info about possibly aquiring a deerhound in future, and I read your comments about "Raven'. I feel so much for you in your pain. In fact I felt your tears as well. The frustration of being unable to help is extremely stressful.Thanks for sharing your overload with some of us who have been there.